Multiple users interact with your app. You want users to access their portion of the app from a single login page. For this Recipe we are using a Contact Management app in which contacts are shared between Sales Reps and Sales Managers. First, ensure you have two or more login pages established in your Pages tab. 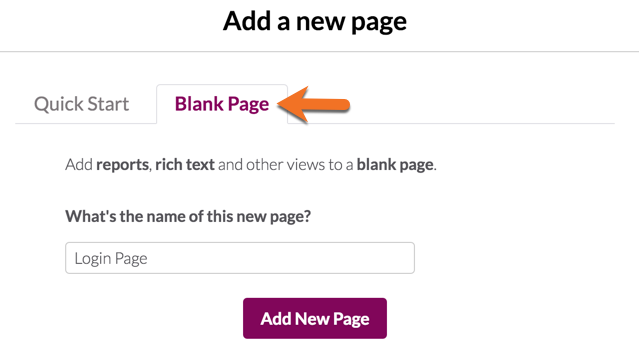 Click the +Add button to create a new page. Next, insert a rich text view where you can display a welcome message and instructions for the user. Choose “Add a View”, then select the “other views” tab. Also, choose “rich text” from the left side menu. With the Rich Text view added, you can click the arrow in the Rich Text view to reveal the edit option. In this new window simply type the message you would like to display. Various formatting options are available. Save the message you created. Now view and test your new single page login. Choose the new Login Page from the “View App” menu. 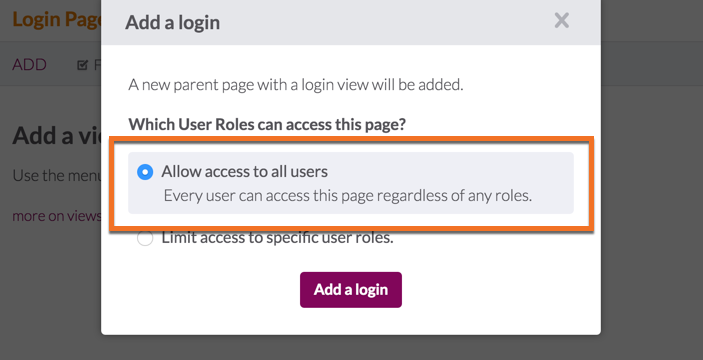 Login with the credentials for one of the user roles. In this example we are using the Sales Rep user role. Upon successful login you should see the welcome message and instructions as well as any tabs that the Sales Rep user role has permission to access. You can create a single landing page in your app that all users will access, then use Page Rules to direct these users to the appropriate page based on their user role. In the example above you can see that, once Customers log in, they'll be directed straight to a page where they can review their repair orders.